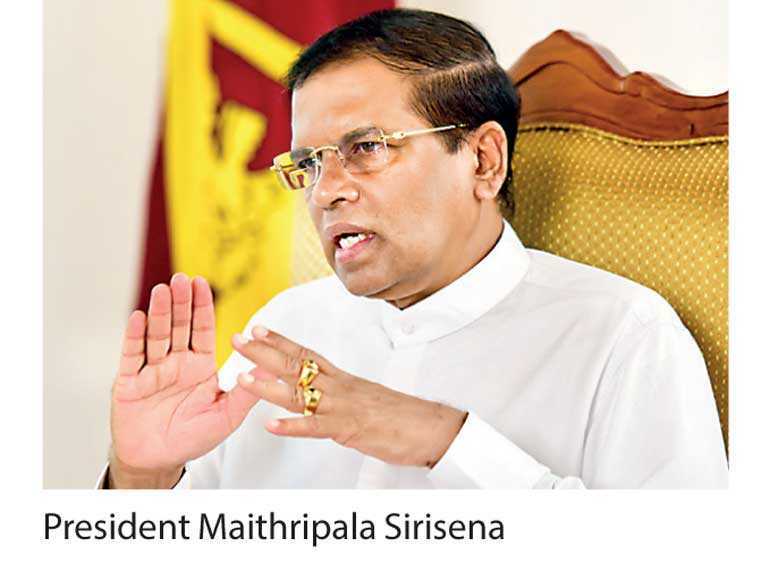 Acknowledging the need to take action against culprits, President Maithripala Sirisena this week said that the current Government has been committed to build a system to boost clean governance free of fraud and corruption. It is the responsibility of the Government to take swift action against wrongdoers, Sirisena said, adding that the disappointment among people over delays in law enforcement against fraud, corruption and theft was justifiable. He said the ‘Good Governance Government’ has been able to take many decisions against fraud, corruption and malpractices that were not taken during the period of 70 years since the country gained independence. He made these remarks while addressing the awards ceremony of the Parliamentary Committee on Public Enterprises held at the premises of the Parliament on Wednesday. Further, he said that the recommendations given by the special Presidential Commission appointed by him to investigate serious frauds and corruption that take place in the country, should be implemented without delay. Sirisena said that during the past few years, the Government has taken a number of measures, including strengthening the Commission to Investigate Allegations of Bribery of Corruption (CIABOC) as an independent commission and establishing the Audit Commission. The Government is also going to establish the Audit Service, which has been long overdue, he said. The President pointed out the importance of implementing activities free of fraud and corruption to revive the field of business in the State sector, while highlighting the need to strengthen the physical and human resources of the institutions that engage in eliminating corruption and fraud. After evaluating information from 837 institutions, including all the State institutions, all the ministries of the Central Government, all the departments, all provincial councils, district secretariats and local government institutions, awards were presented to 101 institutions under different categories for their higher performances. Prime Minister Ranil Wickremesinghe, Speaker Karu Jayasuriya, Secretary-General of Parliament Dhammika Dasanayake, COPE Chairman Deputy Minister Lasantha Alagiyawanna, Auditor General H. M. Gamini Wijesinghe, and others were present at this occasion.